We’re already past that point in January where most of us have abandoned our New Year’s resolutions and feel defeated by our lack of ability to drop those 10 pounds, start that new project, get our marriages back on track, you name it. Before you get too discouraged though, let me assure you that you haven’t failed and it’s not too late for a re-do. This time though let’s have a reality check and make sure we’re doing what it takes to see real change rather than just pursuing a phantom wish we hope comes true. 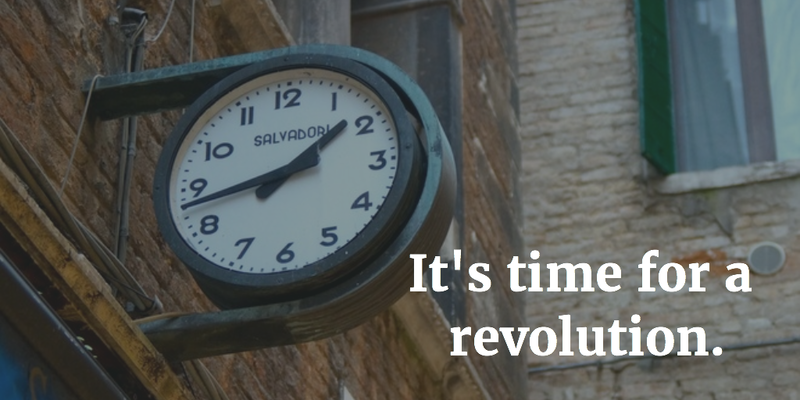 What if instead of a half-hearted resolution, we decide to usher in a revolution? What if instead of making a resolution to lose weight, we revolutionized our approach to health and wellness? What if instead of making a resolution to have a better marriage, we revolutionized the way we treat our husbands? What if we stopped giving in to a defeatist mentality and finally revolutionized the way we see ourselves and determined that this is the year we stop saying we can’t and take the first step toward that thing we always wanted to do? So how do we start our revolution? Make a specific plan and make it a real priority. Let’s be clear on this. Our priorities aren’t determined by what we claim, but by how we spend our time. We may claim that our marriage is our priority, but if spend our free time on Facebook rather than on a date with our husbands, we fool ourselves and nothing changes. However, a complete change in how your time is spent will mean a complete change in what you can achieve. Start today. Mark Twain once said, “The secret of getting ahead is getting started.” Procrastination is the great enemy of great things. I tell my children (and myself regularly) that you can’t course-correct a still object. Don’t be afraid of all the what-ifs of getting off course occasionally. That is far better than standing still and getting nowhere. Get past the past. Don’t allow past failure or disappointment to define you. Failures are just opportunities to learn a better way and grow. It doesn’t matter that you completely blew it up to this point with your children or nearly bankrupted financially. Life is a series of chapters. Learn from the experience, ask for forgiveness if necessary, and write the next chapter afresh. Keep the end in sight. Yogi Berra supposedly said, “If you don’t know where you are going, you might wind up someplace else.” Know where you’re going from the start because it will get harder before it gets better. You will reach a plateau and want to quit. But there’s only one thing that guarantees our failure, and that’s quitting. You may need to rest and re-focus, but get back up and get back to work. It’s worth it. How hard is this? Well I guess that depends on the revolution, but nothing worth having was ever gained effortlessly. But it is not impossible. You’re turn. What in your life is in need of a “sudden, radical, or complete change”? Decide and then start your revolution today. This entry was posted in Faith, Family, Purpose and tagged change, disappointment, failure, goals, hope, plans, priorities, purpose, resolutions, revolutions by Rita Clucas. Bookmark the permalink.